An Audience is simply a one-to-one meeting with The Queen. Audiences happen regularly throughout Her Majesty's working week. 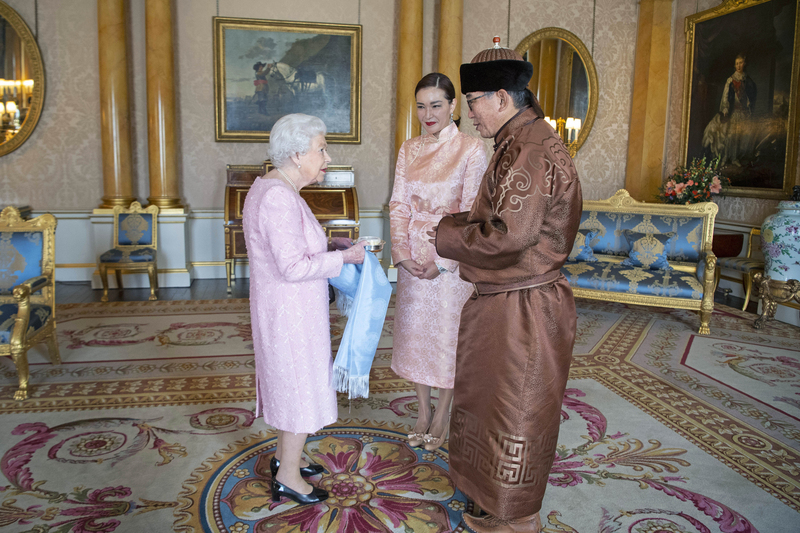 The majority of Audiences are for members of the diplomatic community, though Her Majesty also welcomes political, religious and military leaders, and people who have won prestigious cultural prizes. Audiences generally last approximately twenty minutes, and the conversations which take place are entirely private. No written transcript or recording is made. There are more than 170 Ambassadors and High Commissioners based in London at any given time and each one of them will have an Audience with The Queen shortly after taking up his or her role. High Commissioners and Ambassadors have identical roles - they both represent the interests of their country in the UK by building diplomatic ties. The only difference is in the title which indicates their country's relationship to The Commonwealth: High Commissioners come from Commonwealth countries and Ambassadors do not. Diplomatic Audiences have barely changed since Victorian times, and involve some uniquely Royal touches. Diplomats are collected from their Embassy or residence in a State landau (a ceremonial horse-drawn carriage), and travel through the streets of London led by a second carriage which the Marshal of the Diplomatic Corps travels in. The Ambassador or High Commissioner will often bring members of their family to this special occasion. Here, His Excellency Mr. Narkhuu Tulga, the Ambassador from Mongolia meets The Queen accompanied by his wife Mrs. Burmaa Batbold. Audiences generally take place in State or semi-State rooms at Buckingham Palace, though occasionally they will happen in The Queen's private apartments. The Ambassador or High Commissioner and his or her party are announced as they enter the room by the Marshall of the Diplomatic Corps. The Queen shakes everybody's hands and then the Audience begins. At the start of the Audience, diplomats present their Letters of Credence (for Ambassadors) or Letters of High Commission (for High Commisioners). Also known as 'Credentials', this is a formal letter from the diplomat's Head of State to The Queen asking her to give 'credence' to the new Ambassador or High Commissioner. In other words, saying that Her Majesty can trust the new appointment to speak on behalf of his or her country. The Queen and the visiting party will then speak informally for the rest of the Audience. Often the emphasis is on issues of the day in the Ambassador or High Commissioner's home country. The Queen is always briefed by her Private Secretaries ahead of her Audiences, so there can be much to discuss. Find out more about The Queen and the Commonwealth. The Queen has held a weekly Audience with her Prime Minister throughout her reign in order to discuss Government matters. The Audience is held in an Audience room in her appartments and is entirely private. Though The Queen remains politically neutral on all matters, she is able to 'advise and warn' her ministers - including her Prime Minister - when necessary. When a potential Prime Minister is called to Buckingham Palace following a General Election or a Prime Minister's resignation, he or she will travel to Buckingham Palace for an Audience with The Queen. During the Audience, Her Majesty will ask whether he or she will form a government. To this question, two responses are realistically possible. The most usual is acceptance. 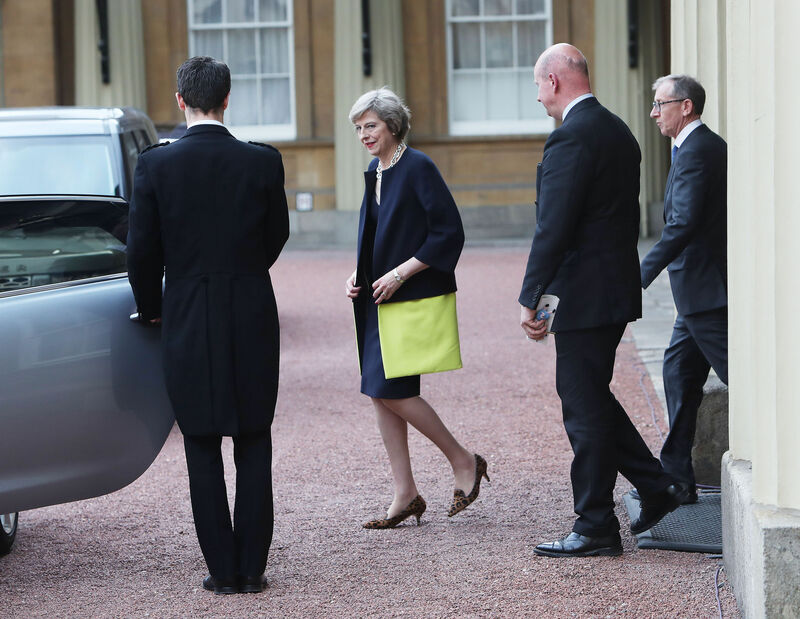 Here, Prime Minister Theresa May is seen leaving Buckingham Palace in 2016 after an Audience with The Queen during which Her Majesty asked her to become Prime Minister by forming a new Government, and she accepted. Before the Budget is presented, the Chancellor of the Exchequer will also have an Audience with The Queen. The Queen also welcomes Heads of State and key foreign dignitaries to her residences for Audiences if they are in the country on business rather than for a formal State Visit. 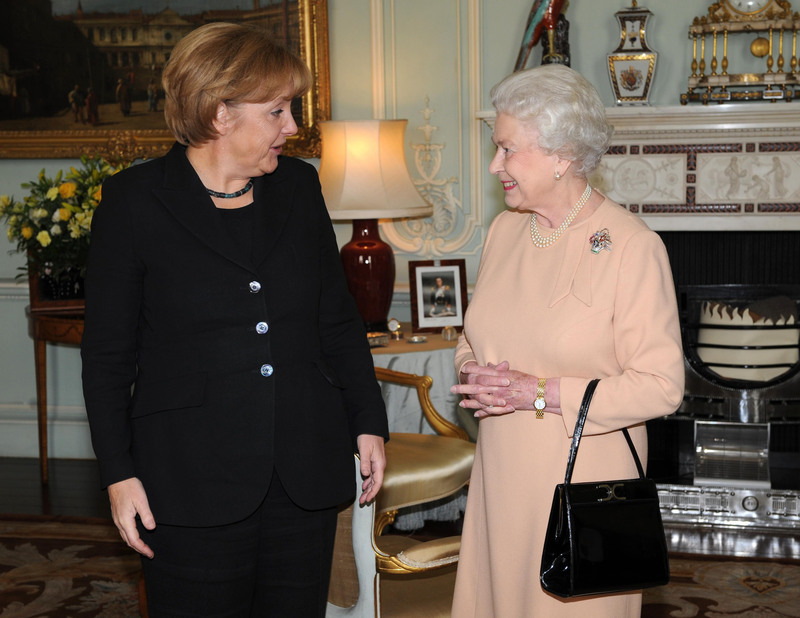 Here, The Queen is seen with German Chancellor Angela Merkel at Buckingham Palace in 2008. Find out more about The Queen and Government. In addition to her regular diplomatic and political Audiences, The Queen also meets individuals who have made extraordinary achievements in their fields, particularly if they are taking up a Royal appointment or receiving a prize which is given in her name. 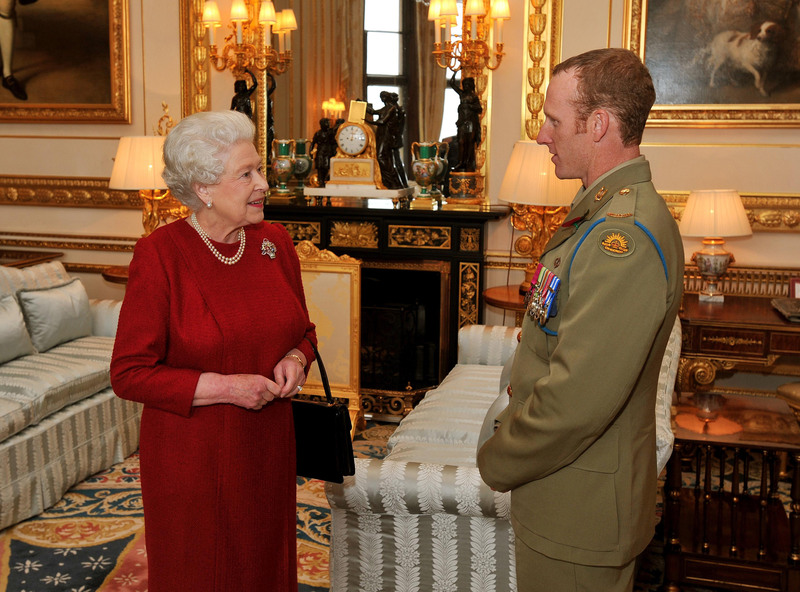 Here, she is seen meeting Trooper Mark Donaldson, a recipient of the Victoria Cross for Australia, the highest award in the Australian honours system for his bravery under fire whilst on operations in Afghanistan. 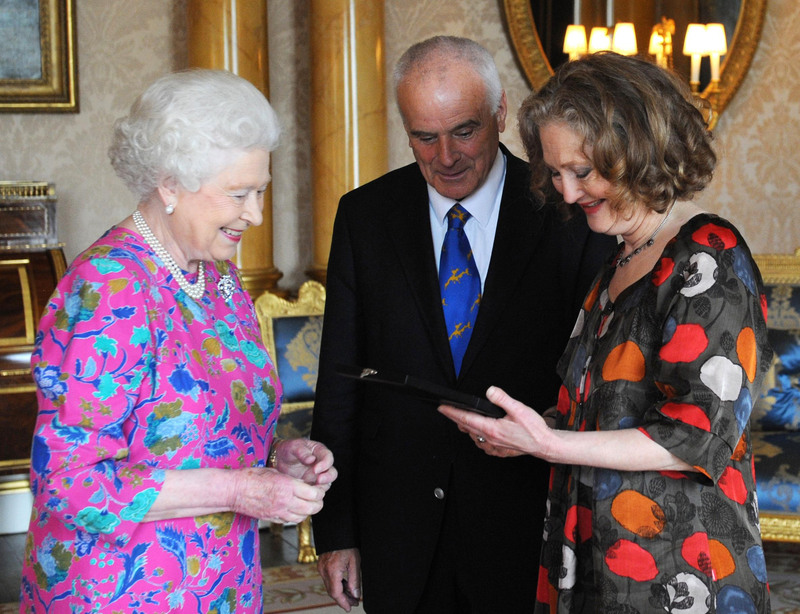 Her Majesty always meets new Poet Laureates and Queen's Masters of Music. 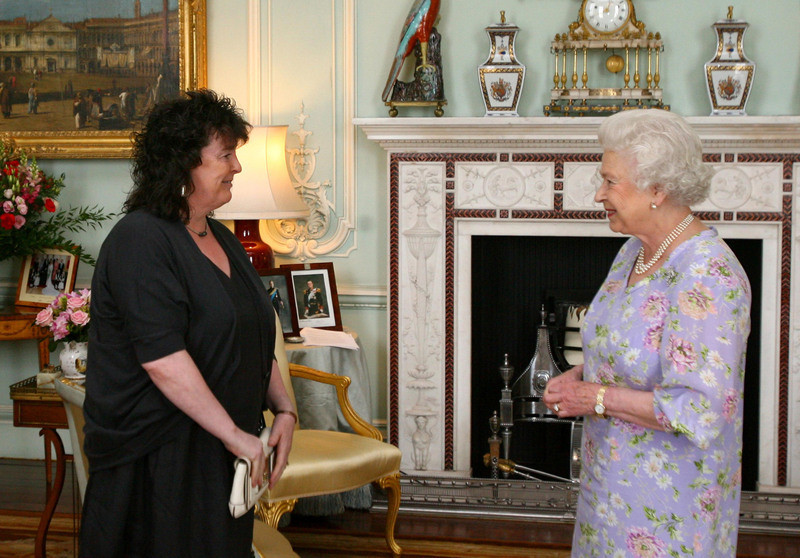 Here, she is seen with Carol Ann Duffy in 2009, shortly after her appointment was announced. Here, The Queen's Master of Music Sir Peter Maxwell Davies introduces Dame Emma Kirkby, winner of The Queen's Medal For Music to The Queen during an Audience at Buckingham Palace. By meeting people privately, or 'granting an Audience', The Queen acknowledges the importance of certain individuals and their work, and creates an opportunity to learn more about them and to give them a memorable Royal experience.